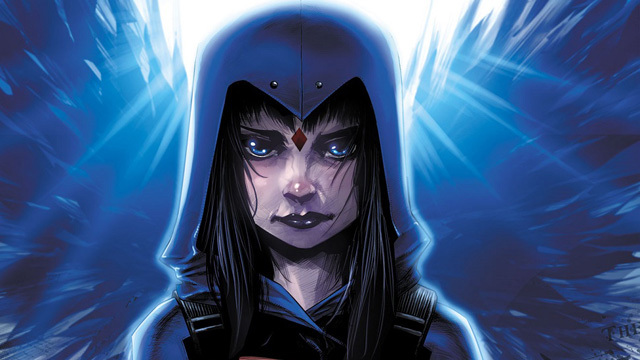 RAVEN #1 Review | Warped Factor - Words in the Key of Geek. Gail Willaims explains demons to muggles with Raven. 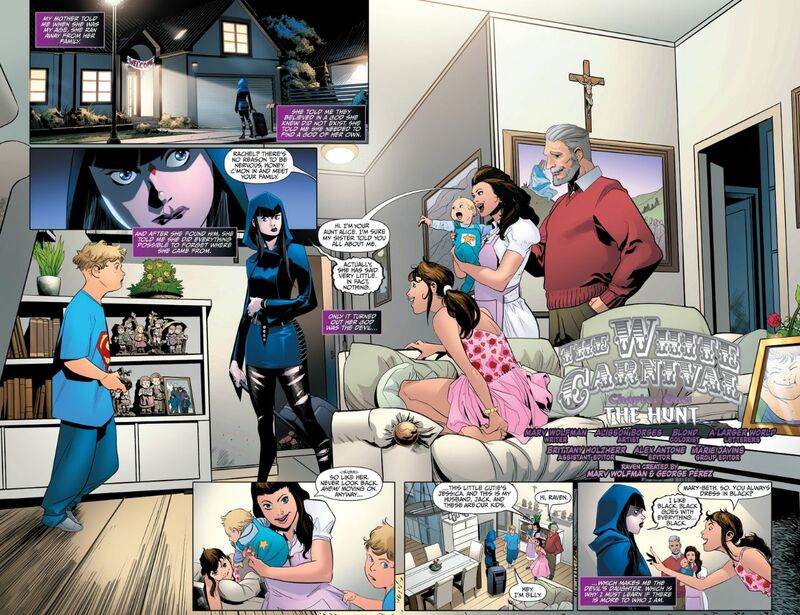 Issue #1 of Raven from DC Comics sees the character go to stay with her aunt. This isn’t an unusual situation, we’ve all had to do it. What makes Raven’s visit different is that she’s sort of the devil’s daughter, she grew up in a demon dimension and only found out she had a human aunt when her mother mentioned her more recently. Now Mummy is dead, Raven wants to know where else she came from, and if she can be more than she is. I have to say Aunty Alice strikes me as evil from the get go. She’s not, but then I’m a suspicious individual. And Uncle looks distinctly too old for her too. The whole situation gives me the creeps. Going to High School is the usual nightmare. Oh come on, we’ve all seen Buffy, and Carrie, you know what I’m talking about. It's not easy to fit in at the best of times, and if you're father's an "interdimensional doom demon" then you've really got your work cut out. It's a classic fish out of water story, but stick with it as what happens towards the end of the comic can turn stomachs and explode heads. In a good way. What this comic does well is show the flow of the panels with particular note to the progression of the story. It’s brilliantly done, but then that’s probably one of the things that comes with being a DC title. After all, you don’t get to be one of the biggest comic book companies without having some skills. Raven herself is a member of the superhero team Teen Titans. Now, I'm not exactly sure who the Teen Titans are, because DC is not my usual usual reading material, so excuse me if I’m missing the cannon here. There again, new readers will not necessarily know the character's history, so when Raven reveals she's missing the other Titans it shouldn’t stop the read, and except for the instant question, it didn’t. This is apparently part one of a six part series, I have the rest on order and I’ll read them all, but I have to say for all the good points of this comic, and there are many, I was left not entirely gripped. It's possibly because I have a stinking cold and the concentration of a gnat at this point, but I can’t in all good faith give Raven #1 a full five, so it’s four out of five for this one. Still enjoyable though, and that’s the main thing.